The Daryl Roth Theatre is located across from Union Square Park in New York City. 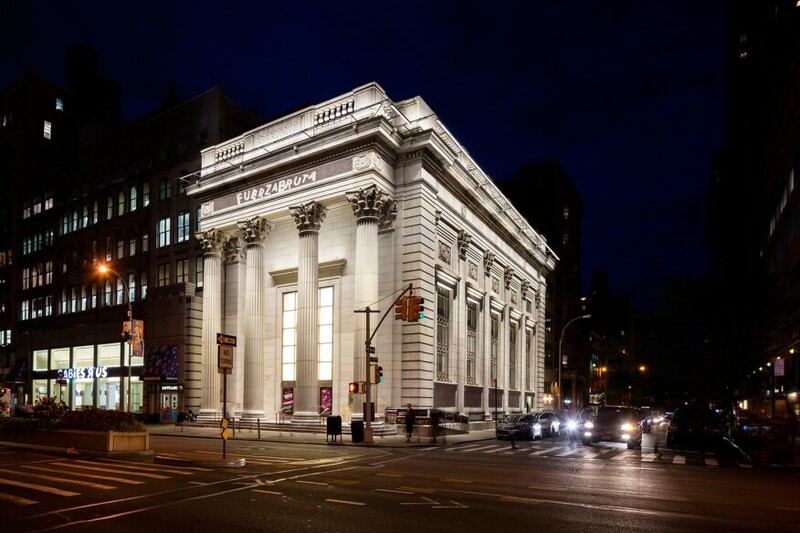 Housed in the former Union Square Savings Bank, originally designed by architect Henry Bacon in 1907, the building, which has landmark status from the New York City Landmarks Preservation Commission (LPC), had never been illuminated. 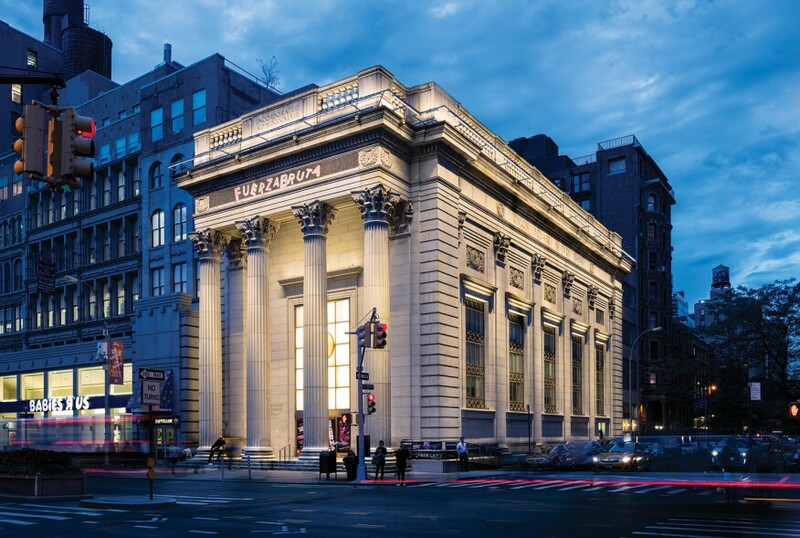 Initially, the client, Daryl Roth Productions, contacted Cline Bettridge Bernstein Lighting Design (CBBLD) to explore how they might illuminate the classical-style architectural details of the façade, but an early mock-up revealed that it would not achieve the desired effect. The client then decided to illuminate the entire exterior. 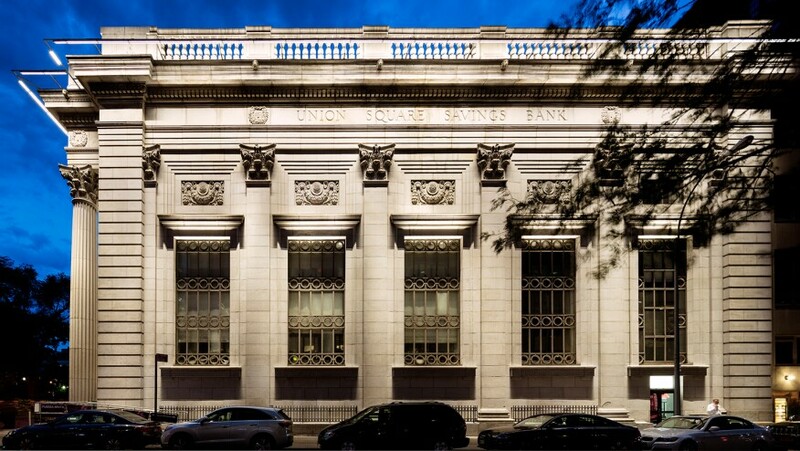 CBBLD began by making a historical survey of the ways in which building façades have traditionally been illuminated. With this information, they embarked on a trio of detailed studies. They also had to create the base documentation. The firm’s research into the building had unearthed only one drawing of the structure. Using that, plus photos and site measurements, CBBLD constructed the CAD documentation needed for renderings, light modeling, and client and LPC presentations. Dimmable LED linear wall grazers mounted to the theater’s cornice proved to be the solution. 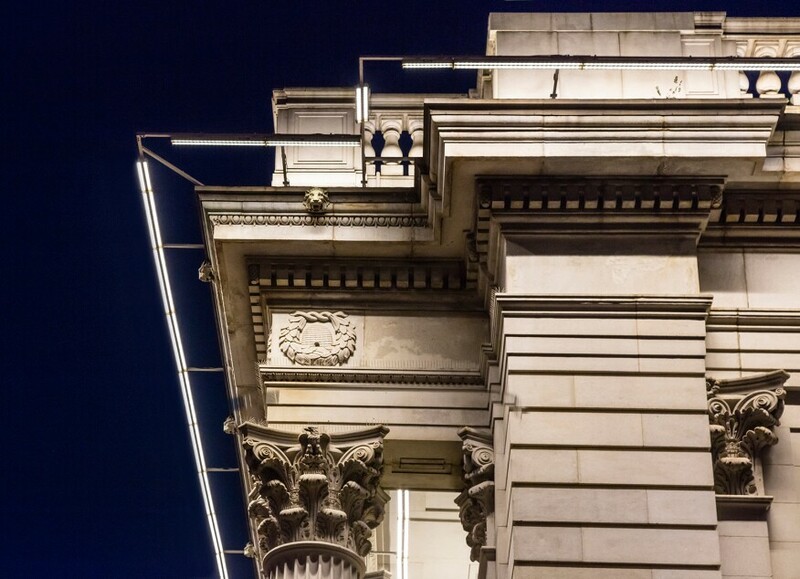 This approach put the light where the designers wanted it, achieving enough contrast across the façade while highlighting the architectural details. It also provided minimal light at the sidewalk without any spill light to the surrounding buildings or park. The problem, though, was there were no market-available fixtures that could do the job. So CBBLD worked with a manufacturing partner to develop the custom fixture, optics, and rigging system. The wallwasher features two separately adjustable, 2.625"-wide linear fixtures, paired and mounted together. A 34-degree beam illuminates the upper portion of the façade and a tight 9-degree beam illuminates the lower portion of the façade. 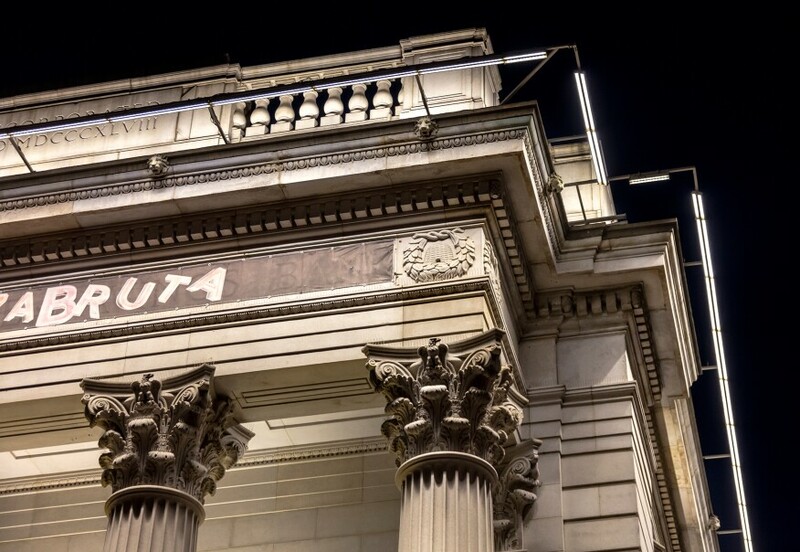 With uplights on the cornice to light the balustrade and concealed uplights on the window sills to highlight the metal work and lintels, the building welcomes theatergoers and serves as an illuminated reference point for the neighborhood. Have a lot of respect for the complexity of the design challenge. • Uniform. • Bold move to bracket the fixture. David Sundberg/EstoElizabeth Donoff is the Editor-in-Chief of Architectural Lighting.